MIL- Spec "Drop-In" Ambidextrous Magazine Release for .308 Platforms using SR-25 type magazines (DPMS LR-308). Optimized for heavy recoil. 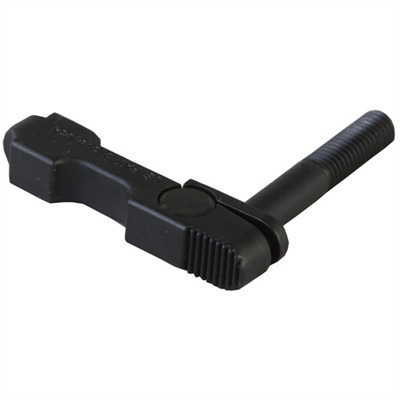 Includes hardware to extend the shaft and positively secure the magazine release button. Enables user to execute three different magazine release methods on each side of the weapon. Design properties reduce the possibility of inadvertent release. Can be disassembled for cleaning and maintenance. This is the best ambi mag release I have used... or seen. It doesn’t release on accident like is possible with the other types. I have one on my AR and I have one on my Aero Precision AR10. It fits and functions perfectly. I put this on a MK216 PWS in .308 and so far it's working good. Norgon is pretty much the only game in town for ambi magazine releases. I have multiple for standard size AR's and they work flawlessly. Installation is slightly different for this version, but still really easy.